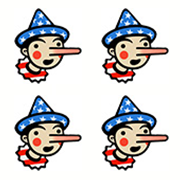 After his statement in Cincinnati, several readers suggested it was time for a substantive fact check, with a Pinocchio rating, rather than simply filing it away in the database. After all, the president made a direct link to the impact of his policies: “So what happened two days ago and a month ago — wages are now, for the first time in many years, rising.” He even stated that more companies are “pursuing pay increases” than at any point in the 21st century. These bold claims certainly are worthy of a full fact check. The White House did not respond to a request for comment. One thing that’s confusing in this conversation is that there are different metrics available: hourly wages, weekly wages, nominal wage growth, real wage growth and so forth. That allows politicians to pick and choose the statistic that puts their policies in the best light. Most economists tend to cite hourly wages because weekly wages combines two variables — hourly earnings and weekly hours — and thus can be affected by how many hours people decide to work. But there is little dispute among economists that wage growth — after being essentially being flat for years — started to pick up again in 2014, after reaching a post-Great Recession low. In other words, Trump is simply blowing smoke when he claims that when he was campaigning that people thought it was impossible for wages to rise again. Wages were already increasing, though the increases were lower than what would be expected in a mature recovery and the impact was uneven, as shown by this chart from the Hamilton Project at the Brookings Institution. So what happened “two days ago”? Trump is referring to a 2.9 percent increase in the median hourly wage reported by the Bureau of Labor Statistics, meaning the difference between January 2017 and January 2018. That was the strongest annual gain since June 2009. But here’s the rub: This is a nominal increase, not a real increase (in other words, after taking account inflation). We do not know yet the inflation in this period. That’s important because in recent years, unusually low inflation drove quite fast wage growth. Indeed, after adjusting for inflation, U.S. wages were only 10 percent higher in 2017 than they were in 1973, with annual real wage growth just below 0.2 percent, according to a Hamilton Project analysis. This is the most important number — the one that decides whether you will have more money in your pocket at the end of the day. As we noted, wage growth has also been remarkably uneven, with much of the increase going to people who already make good money. Jay Shambaugh, who heads the Hamilton Project, noted that digging deeper in the BLS’s 2.9 percent figure, supervisory managers saw significant gains, with those in the finance area experiencing a jump of more than 4 percent. Meanwhile, wages for production nonsupervisory workers who make up the bottom 80 percent remained at 2.4 percent growth. So the top-line 2.9 percent figure reflects gains made by the top 20 percent. “Typically for a strong labor market you would see wage growth of 3.5 percent,” he added. The same holds true when looking at real median weekly wages for all workers in 2017, a data point the White House has cited in the past. Trump started bragging about wages after the data indicated a gain from the first to the second quarter, to $353 per week. (For complicated reasons, the BLS data is listed in 1982-1984 dollars.) But then it was basically flat in the third quarter. Wages then plunged to $345 in the fourth quarter, so that it was actually lower than number for the fourth quarter of 2016, $349, when Trump took office. Oops. As for Trump’s claim that more companies are pursuing pay increases now than at anytime in the 21st century, the source of that statement remains a mystery. Judging from experience, it probably has little basis in fact. Ironically, the BLS January wage report helped spark a two-day stock market sell-off, as investors decided higher wages could push up inflation and interest rates, while putting a squeeze on corporate profits. Traders trade off of headlines, not the details of dense BLS reports, but that’s a story for another day. To sum up, the president made a number of outlandish claims about increased wages. He suggests they have been stagnant until recently; actually, they increased starting in 2014 but for many workers were stagnant in 2017, the president’s first year in office. There was an apparent increase in the January data, but the ultimate impact after inflation remains to be seen. Moreover, as has been the case in the past, most workers did not experience the gain that Trump is touting. The president earns Four Pinocchios. “Something that I’ve been talking about for two years — campaigning, and everyone said, ‘You’ll never do it’ — after years of wage stagnation, wages — so what happened two days ago and a month ago — wages are now, for the first time in many years, rising."